"The presence on Venezuelan soil of these officials represents a risk for the peace, unity and stability of the country," the government said in a statement, after talks broke down over maintaining diplomatic links between the two countries. Chief Prosecutor Tarek Saab said on Tuesday he was asking Venezuela's pro-Maduro Supreme Court to open an investigation into opposition leader Juan Guaido for participating in the alleged "sabotage." 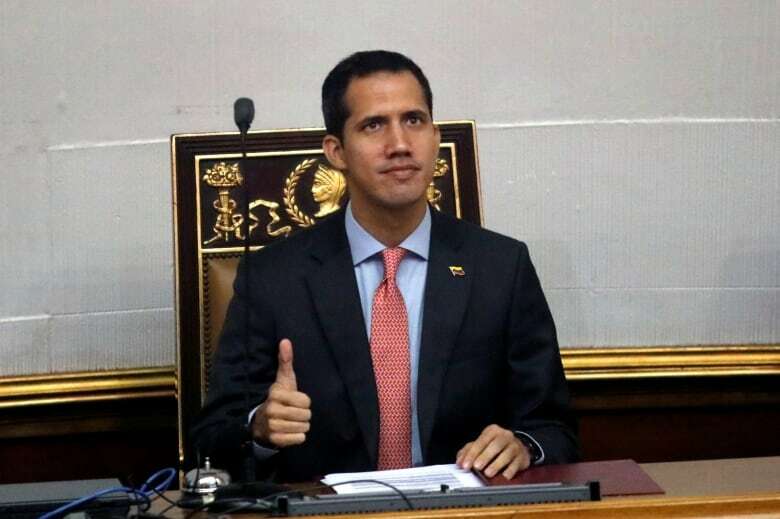 The U.S. and Canada are among several countries in the Americas that have recognized Guaido as Venezuela's rightful leader pending a new election, after the 35-year-old congress chief declared himself interim president in January, calling Maduro's 2018 re-election a fraud. Most countries in Europe and Latin America have followed suit. The United States has implemented a raft of sanctions to put pressure on Maduro, and the U.S. special envoy on Venezuela, Elliott Abrams, said on Tuesday that Washington was prepared to impose "very significant" additional sanctions in the coming days against financial institutions deemed to be supporting Maduro's government. Maduro, who retains control of the military and other state institutions as well as the backing of Russia and China, has denounced Guaido as a puppet of the United States. With the power blackout in its sixth day, hospitals struggled to keep equipment running, food rotted in the tropical heat and exports from the country's main oil terminal were shut down. Julio Castro, of nongovernmental organization Doctors for Health, said on Twitter on Monday night that 24 people had died in public hospitals since the start of the blackout. He has said that the blackout likely aggravated existing medical conditions, but does not directly attribute any deaths to the outages. Information Minister Jorge Rodriguez said power had been restored in the "vast majority" of the country on Tuesday. "We are on our way to consolidating the victory of the Venezuelan people over this attack," said Rodriguez. He added that the "electricity war continues," a sign that authorities may still be concerned about ongoing outages. Maduro blamed Washington for organizing what he said was a sophisticated cyberattack on Venezuela's hydroelectric power operations. 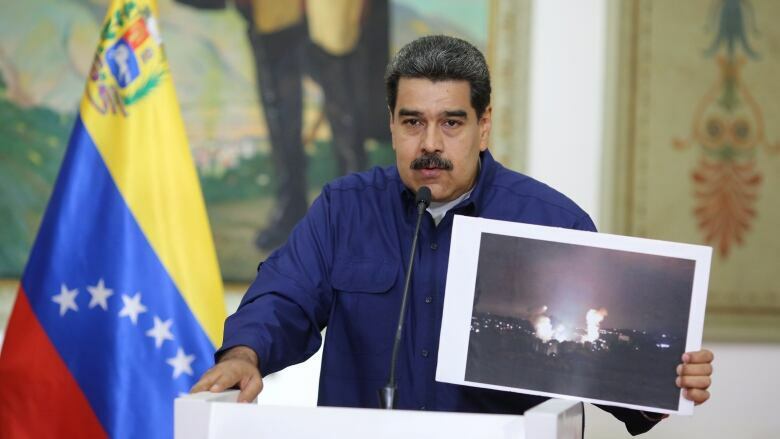 "Donald Trump is most responsible for the cyberattack on the Venezuelan electricity system," Maduro said in a broadcast from the Miraflores presidential palace on Monday night. "This is a technology that only the government of the United States possesses." Secretary of State Mike Pompeo said in an interview on Tuesday with radio show Texas Standard that decisions regarding Venezuela had been affected by the combination of a rapidly deteriorating situation and U.S. diplomats being "in harm's way." "We wanted to get them out of the country so that we could move forward in a way that provided that opportunity," Pompeo said. Maduro, elected in 2013 following the death of his political mentor Hugo Chavez, officially broke diplomatic relations with the United States on Jan. 23 when it recognized Guaido. Washington's consulate evacuated most of its diplomatic staff two days later. Amid signs of a growing crackdown on media, the National Press Workers' Union said that prominent radio journalist Luis Carlos Diaz was arrested on Monday by intelligence agents, who raided his home in Caracas.